The ultimate state of individuality. Bespoke is a special feature that makes your artistic dimension come true: from your ideas, we will shape an exclusive Tiepiece. 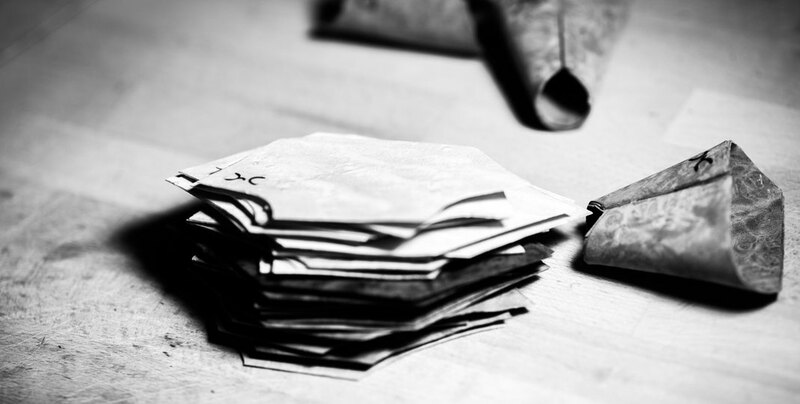 From material to mould selection, you will be the core of our productive process, working closely with our artisans and designer, to realize a unique product, a Tiepiece that truly reflects who you are and what you want. 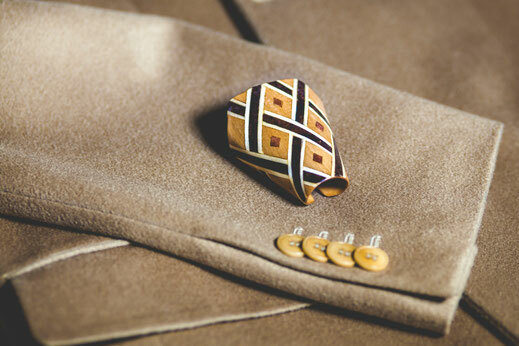 Get inspired by art, materials, the grain of refined wood and, first of all, by your personal desires. At once, you will find yourself in an extraordinary world of possibilities, that our skills and experience will turn into a masterpiece, creating a leading accessory. Commissioned by a passionate of the equestrian world is inspired by one of the most elegant creatures that inhabit our planet. 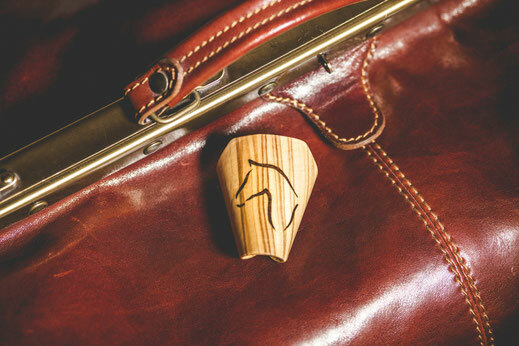 A Tiepiece characterized by an Olive base on which was inlaid a delicate profile of an horse. The carbon fiber is a strong and light material, used in aeronautics, in space and automotive industry. 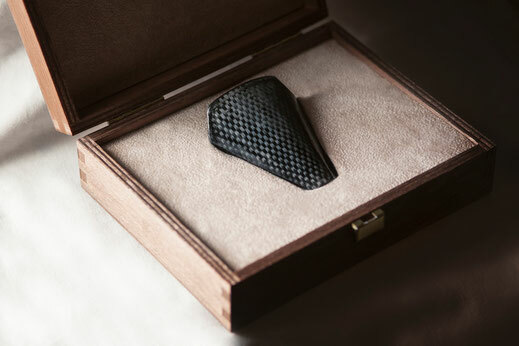 Our artisans covered a precious ebony core by carbon fiber to special, highly contemporary Tiepiece. The eternal alternation between light and dark makes this Tiepiece one of the most magnetic of our collection. 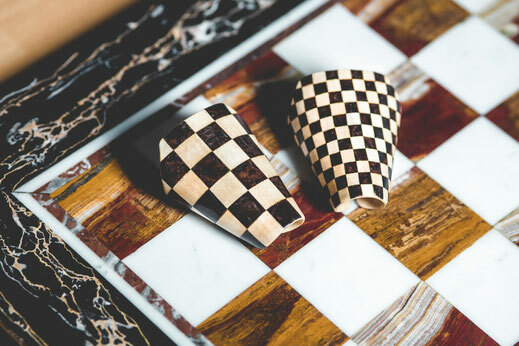 Taking inspiration from the most noble and sophisticated board game that has always fascinated the best minds, the board is reported through a technique of inlay on the accessory that makes the contrast its strength. 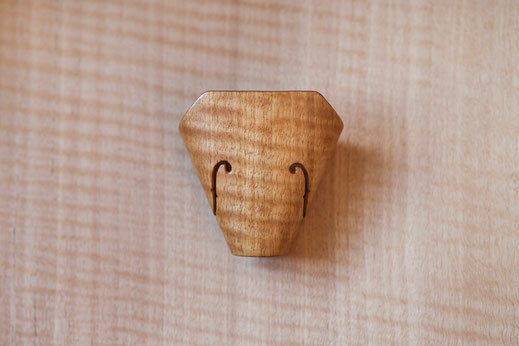 It is the quilted maple to characterize this fantastic Tiepiece, the same wood used by the greatest violin makers to produce the prized violins that delight us during the best shows. The two treble clefs carved on the sides of this creation reveal the soul of the tie for an attractive result. Openwork designs adorn the uppers of English shoes since '700. 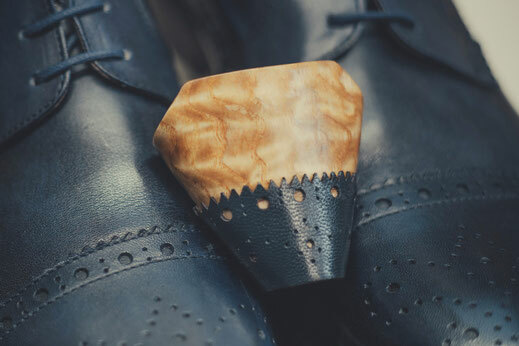 Synonym of quality, craftsmanship and savoir-faire these small holes make unique the best footwear. What better way to accompany them to a Tiepiece that reflect them fairly? I authorise the use of my personal data insert in the form below in compliance with Legislative Decree 196/03. at any time, in accordance with art. 7 and 8 of the said Law, you will have access to yours data, request the change, removal or integration, or to deny their use.